Dog parks are a great getaway for both the parent and the fur child. It’s the perfect place to socialize, exercise, take in the fresh air and break away from the demands of everyday life. Dog parks are an oasis of both fun and relaxation. My two fur children, Frankenstein and Luna love the dog park. Before we adopted Luna, my husband and I would take Frankie to the dog park; she is a social pup and loves being around humans and furry friends. We noticed the benefits both Frankie and my husband and I received. Improved Social Skills – The dog park helps a dog socialize with both humans and dogs. My husband and I are active with our dogs and a friendly and social dog allows us to take her out with us dining, shopping, and on vacations. Teachable Moments – The dog park is a setting that allows owners the opportunity to correct a dog’s behavior. This is an opportunity we would not have had with Frankie if we kept her at home or gave her private walks. 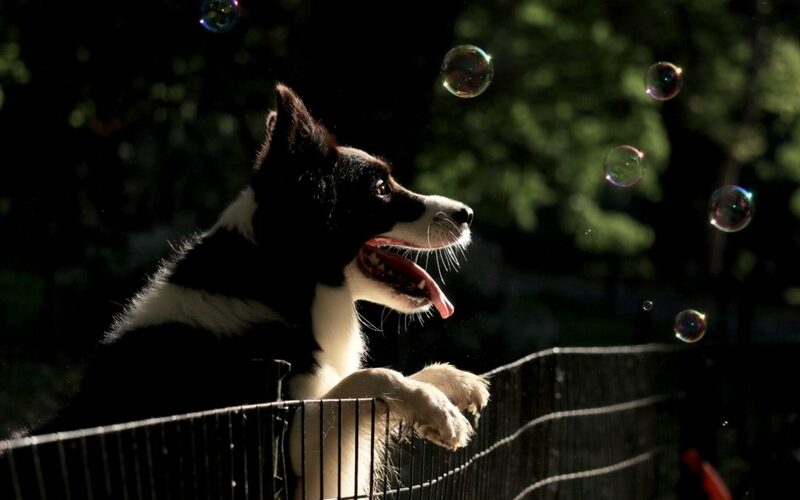 Burn Off Some Energy – The dog park allows a dog to burn off some of that pent-up energy. Frankie is no different, she always returns home happy and ready for a nap. This allows us to complete more of our tasks at home as Frankie is worn out and doesn’t demand so much attention. Regular Potty Times – The dog park helps reinforce a regular bathroom schedule. Frankie keeps to a regular potty time. She knows when it’s time to go number 1 and number 2. The dog park is a good way to potty train puppies and adult dogs; they are creatures of habit and do well when time at the dog park is a part of the dog’s everyday routine. Additionally, it makes it much easier for the parent to not find yucky accidents in the home. Take A Break – The dog park can be something to look forward to and a great part of your day. We are able to take a nice little break from work or break up the monotony of errands and chores. Enjoy The Simple Things – The fresh air, the nature around us, and most importantly all the cute dogs around us filled us with so much joy and laughter. Meet New People – The dog park is a great place for your dog to make new friends. On top of that, you’re able to meet new human friends in the neighborhood. This is great if you are new to a city or the area. For us, this was important as we didn’t know many people in our area and it was wonderful getting to know our new neighbors! Improve Your Dog Parenting Skills – The dog park is a great place for exchanging ideas, tips, and tricks with other fur parents. This is important for new dog owners. Try Something New – I recommend giving dog parks a try if you and your pup have not yet visited one. It’s important to note that it’s not for every dog, some pups prefer to be on their own or prefer to be around a smaller number of furry friends. Thanks for taking the time to read. I’d love to hear your thoughts on dog parks and the benefits you’ve seen in your dog. If you’d like to have a discussion, reach out to us on Facebook, Twitter, or leave a comment below. For our in-home services in Reno, contact us and schedule your custom care consultation.